Home » Fortnite » Fortnite Challenges » Fortnite Shopping Cart » Fortnite Shopping Cart Trailer » Fortnite Week 5 » Shopping Cart Gameplay » Technology » So Popular Games, Need Money To Play Fortnite? So Popular Games, Need Money To Play Fortnite? Fortnite: Battle Royale is now one of the most popular games in the world and what makes it so interesting is you can play Fortnite for free! However, just like most other free games there is the possibility of players to shop for virtual items inside the game. Should we buy it? What can you buy when playing Fortnite? There's basically only one thing in Fortnite that you can buy with real money, V-Bucks. V-Bucks is spent on items that can change the visual appearance of your character without additional status that can strengthen your character. 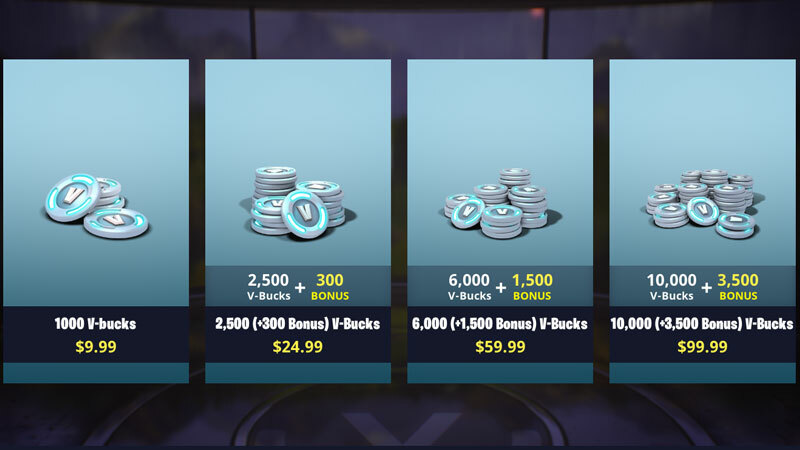 Among the items you can buy with V-Bucks just like emote, characters, and skins for weapons and backpacks, everyday at the Item Store there are special items that you can also buy with V-Bucks. It's worth noting that you can also get a free V-Bucks just by playing Fortnite, but like any other free game, you need a long time to be able to shop at Item Shop. V-Bucks can also be used for something called the Battle Pass. And this is what makes it a bit complicated. Every season in Fortnite that lasts about 10 weeks, you will be given Tier Ranking. Simply by playing and completing all challenges will improve your Tier Ranking. And any unlocked Tier Ranking, you'll get something new in the form of some V-Bucks bonuses, new skins, or XP booster to boost your level. 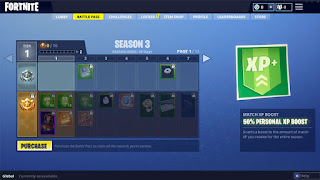 Even if you decide not to buy a Battle Pass for a particular season, you can still improve Tier Ranking, but certainly slower. You can still earn a small amount of rewards (about one every three or four ranks). And rewards earned if not buy Battle Pass certainly not as good as if you buy it. Battle Pass sells for $ 10 (about Rp135 thousand). If you do not want to spend your money, of course you can choose to collect V-Bucks for free and after collecting new buy (more time). What is a Premium Battle Pass? 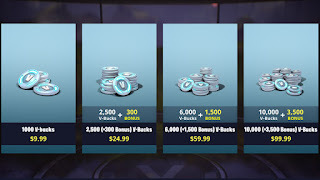 When playing Fortnite and going to buy Battle Pas, you will be offered two options that one using V-Bucks at a price of USD10 and the second option with a price of USD25. The second option certainly has more benefit for the buyer, where you will instantly reach Tier Ranking 25 and unlock all rewards up to that rank. In addition you will also get a higher XP booster. So, do we have to spend money when playing Fortnite? Well, after seeing the benefits that you can get above of course you can already guess right away, but back again, it's all up to the players. None of the items you buy with V-Bucks gives you abilities beyond any other characters. If you are not too concerned with appearances and are only interested in increasing rankings or bonus items from rewards, the Battle Pass is a wise choice. 0 Response to "So Popular Games, Need Money To Play Fortnite?"